Sometimes, you don’t even know there’s a problem with your HVAC until it’s too late. This often stems from the fact that we just don’t know the signs and are therefore blind to indicators of trouble. One of the most obvious signs that your HVAC is malfunctioning is the uncharacteristic sounds coming from the appliance itself. Normally, you don’t even notice the sounds your HVAC makes because it’s just not very noisy, aside from usual hums or the whooshing of air through vents. Plus, let’s face it: if we’re not confronted with the consequences head-on, we assume all is right and dandy in the world. Ignorance is bliss, right? Wrong. If you hear anything disruptive, chances are it’s time for a serious inspection by a certified contractor in your area. Here’s a list of the most common HVAC noises and what they mean so you can resolve the problem sooner! Contact I Want SMART for help with your HVAC system! Do you hear something coming from your system that sounds like the clamor of banging pots and pans? This “clanking” is abnormal and could mean parts are loose, like the blower motor fan or blades/pipes that are colliding. Clanking sounds are up there with more severe issues because of the costs associated with replacing broken or loose parts. If you hear these kinds of noises, shut off your system and call a technician immediately. Hissing is typical when air leaks from your system. If you hear it in your walls, your ducts could be leaking, too. This isn’t only a nuisance, but it’s also costly because the air that should be circulating throughout your home is now retreating into your walls. First, use your best judgment to measure the volume of the hissing. Loud hissing noises from your ducts generally signal duct repair beyond the scope of even the most seasoned DIYer. Minimal hissing could mean an issue starting in your air vents. Sometimes these hissing sounds happen when air filters are loose or not the right size, thus causing an opening in the seal. The air is then bypassing the filter by going around it instead of being pulled through the filter. This, on the other hand, is a relatively simple fix that a technician could walk you through so you know what to do if it occurs again. If rattling noises are coming from your outdoor unit, it could mean debris (twigs, rocks, etc.) is caught inside. HVAC grates are made thin enough to block large obstructions, but occasionally things slip through. In this case, the best thing to do is turn off your system, cut the power to the unit, and remove the debris. Any visible damage to the condenser coils, compressor, or fan should be repaired by an HVAC technician. 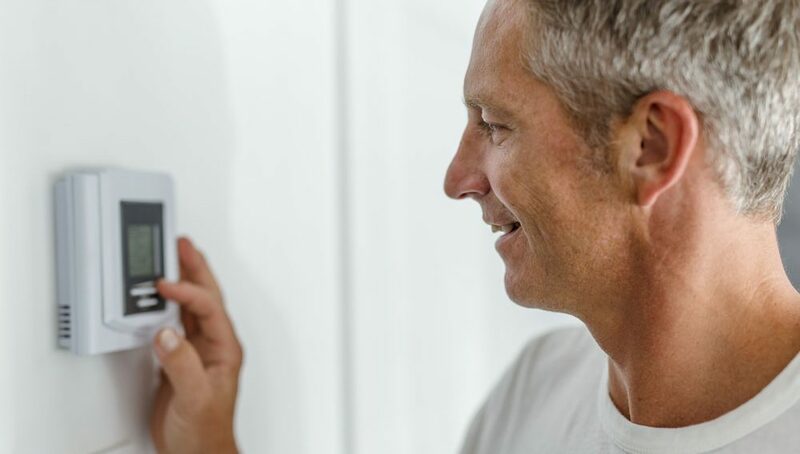 Internal rattling in your furnace or other components is treated similarly: turn it all off and call your HVAC technician, as these stoppages are harder to remove. Search for certified I Want SMART contractors here to quickly schedule an inspection or repairs! The verdict is in: you’re purchasing a new air conditioner or HVAC system. Now you face a slew of questions: Do you know the brand and kind of appliance you’re buying? How about the installation team? What are the costs of installation and initial setup? How do you know if you’re getting the best deal or if you’re being overcharged? Because there’s a lot more to consider than meets the eye, we’ve arranged the most important, non-negotiable details to nail down when you’re choosing an HVAC contractor or installation company. No matter what stage of the purchase process you’re in, these tips will surely be helpful in moving you forward. If nothing else, remember this: ask as many questions as you need to be answered BEFORE your air conditioner is paid for and installed! Need an installation quote? Find & contact one of our contractors here! There’s no excuse for shoddy work. 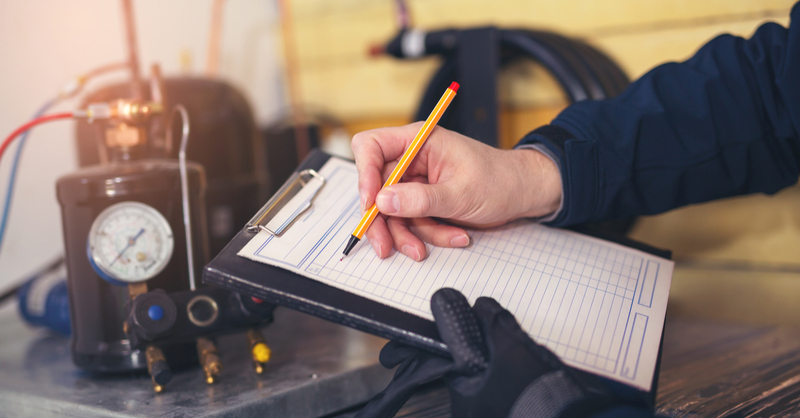 When going about selecting an HVAC contractor, make sure they’re qualified to do the job correctly and within your timeline. Check out their website, browse online reviews (from credible sources), and read how they plan to add value to your experience. “Added value” can mean different things to different people, but the company’s commitment to quality should be clear across the board. You should be able to quickly get in touch with the contractor you select. Especially in emergencies, you don’t want to be stuck with hazardous materials. Regardless of the circumstances, make sure you can call a number that reaches an actual person or that you can leave messages on their website if this is more convenient for you. General food for thought: these days, an updated website goes a long way. It’s a hub for information, communication, and organization. “Updated” doesn’t have to mean expensive. To us, it means implementing tools and mechanisms that make it easier for customers to reach contractors. These aspects will be evident the second you arrive at the company’s website. Each company claims to have the best service and prices. But does it? If a deal sounds “too good to be true,” it usually is, so buyer beware. It’s great if a company shows an appreciation and understanding of its customers with specials and rebates, but when those aren’t available, the work must justify the price. At I Want Smart, transparency is vital. We believe genuinely good labor and exceptional service shouldn’t be cheap. This is why we go to great lengths to qualify contractors: to make highly valued, pre-approved work readily available to customers through our website. When everything is going wrong, it’s easy to appreciate someone swooping in to save the day right when you need it. However, when everything is going right, it’s the details that matter in making you, the customer, feel like you’re of value to a business. If they’re keeping you in the loop about specials, events, or relevant news, it’s a good sign that they’ve invested time in thinking about what is valuable in serving you. As we mentioned before, a responsive website is critical: it’s a member of the customer service team. You’ll notice how a company handles leads by how quickly, politely, and efficiently they follow up with you, either via phone call or email. All of our previous points work together to hammer this one home. Excellent customer service, reasonable and transparent pricing, accessibility, and qualified workers all exist to create trust between customer and contractor. If just one of these categories goes by the wayside, the rest are inevitably weak. If the company adheres to a strict code of conduct, integrity, and indeed goes the extra mile for its customers, it’ll show. Wish to work with good people who work to do good for others? Contact I Want Smart! Tis the season for hayrides, pumpkin patches, cozy sweaters, and, although less pleasant, allergens. Allergens and pollutants hit their stride in winter; nearly everyone is prone to at least some exposure, but that doesn’t mean there aren’t things we can do to stay ahead. Taking steps to improving your home’s air quality will work wonders in restoring health and creating a pleasant atmosphere for your family and friends. Ready for fall? Find a contractor here so you can schedule an inspection! Cleaning your whole house in one day is probably not the way you want to spend a Saturday. If it is, no one’s stopping you. But, just in case it’s not, remember: Rome wasn’t built in a day. Cleaning one floor or one room per day will help you stay on track and mitigate allergens. You’ll be able to spend more dedicated time on making sure no stone is left unturned, thoroughly vacuuming, mopping, and dusting in the nooks and crannies you normally gloss over in your hurried daily routine. Cleaning dirt, dust, and allergens out of your home is essential to breathing in clean air that is healthy for your respiratory system. To minimize the accumulation of dust, consider more high tech options. Electronic whole house air cleaners and ultraviolet light can help maintain a clean environment. I Want SMART can help provide whole house solutions while maintaining clean air and maybe even saving a Saturday or two. In the colder temperatures of the fall and winter, the air becomes dry with less moisture in the air. Moist membranes line our respiratory system – including the nose and throat – that catch dirt, dust, and different virus bacterium before they make contact with our lungs. Very dry air can lead to a number of uncomfortable side effects: aggravated throat and nose, itchy or flaky skin, tight joints, and even added creaks in your wood floors from improper moisture levels. Humidity helps block allergens from sensitive areas of our lungs. Purchasing a humidifier will help alleviate irritation so your family can breathe easier and fight infection better. Many humidifiers are now equipped with sensors that will, in essence, control the output depending on the outdoor temperature and moisture level. No more running down to the basement to adjust for condensation on the windows! 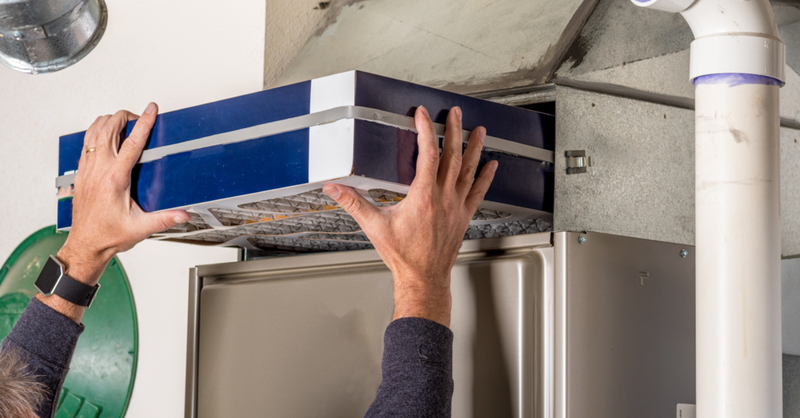 Over time, potentially harmful allergens and particles can build up in your ducts, making it harder for your air filter to do its job of delivering clean air. Getting your ducts in a row and switching out your filter ensures that clean air is entering your home effectively. Clean filters also cut down on the overall cost of running your HVAC equipment by avoiding costly repairs. Most people assume what we mean by ‘going green’ is to install a higher-efficiency HVAC system in your home to circulate quality air at an overall lower cost. While this is certainly a good idea, we mean “green” in a more literal sense: plants. Plants naturally convert carbon dioxide into oxygen, providing us with the air we need to survive. Energy-conscious consumers can fill their home with plants to purify the air in an efficient way. Need help preparing your home for the winter season? Get SMART – contact us today! Gentrification is on the upswing: forgotten neighborhoods are reviving and young couples are putting down their phones to pick up hammers and restore beauty in dilapidated homes. The spring and summer real estate market will also begin to pick up as the weather gets nicer (hopefully). If this applies to you, let’s talk air conditioning. Installing a new air conditioner in an older home poses some unique challenges. Antique homes normally don’t have convenient places for an HVAC system, which could turn your summer project into a sweatbox. Here are some things to think about before jumping into air conditioner commitment. Signing on an honest, fair contractor is key to staying on budget and getting the job done right the first time. The contractor is responsible for determining the size of your unit, explaining your options and installing the unit. I Want SMART’s expert contractors are a certified, dynamic group of technicians that has extensive education in the field. They will walk you through the process and give you common sense solutions that come from years in the industry. Creating room for bulky ductwork means you might have to compromise on traditional elements of the house that made you fall in love with it in the first place (like crown molding, wainscoting or wood floors). Ask your contractor about HVAC systems that would fulfill your basic needs. They are out there: a ductless-split system could cool and heat those areas. Instead of conventional systems that require ducting throughout the house, much smaller refrigeration lines are routed through your house and connected to individual cassettes in each room. It would require creative cutting and patching on other surfaces of your home, but it would be an economical way to cool your home while maintaining its integrity. Choosing the right sized unit is essential. A unit that’s too big or small could cause loud noises, frequent breakdowns, and inconsistent temperatures in each room of the house. No, bigger is not always better: a bigger unit will not overcompensate for a unit that fits your house perfectly. Oversized units cycle on and off more often, which uses more energy and ends up costing more in maintenance. Make sure your contractor is certified and knows industry standard calculations for your home. No two houses are alike, and although the style might be similar to a house down the street, you have no idea what lies underneath the floorboards or in the attic. Anytime energy is mentioned, you should hear electricity. Your old house could only be equipped with enough energy to turn on some minor lights and appliances. Take a minute to consider your home’s electrical panel and if it needs an update to accommodate for the energy your new HVAC system will use. If it does need a service upgrade, an electrician needs to replace it before the HVAC goes in. Visit our HVAC FAQs to answer more of your questions. Contact us to find an I Want SMART location near you! When it comes to seasonal allergies, most people know the ins and outs of the Spring and Fall allergy seasons. People may not know, however, that those irritable symptoms in the winter can be caused by concentrated allergens in your home or workplace. Is it possible to have winter allergies? Yes. Believe it or not, there are irritants brought on by the cold weather and enclosed living conditions. Mold, dust mites, pet dander, and dust are some of the most common irritants during the winter months. Without the ability to open your windows and let some fresh air inside, all of these air pollutants build up in your air ducts and filters. Are you suffering from indoor allergens? Side effects of winter allergies can often mirror the common cold. However, the common cold should only last around 10 days, so if your symptoms are continuous you might be suffering from indoor allergies. Coughing, sneezing, watery and itchy eyes, runny noses, dry nasal passages, bloody noses, and dry skin conditions can all be related to indoor irritants. What can I do to lessen my allergy symptoms? There are many things that you can do in your own home to decrease those winter blues. Simple things you can do to stay proactive are dust, change your bedding and vacuum frequently. This cuts downs on dirt, dust, dander and dust mites. The next step is to make sure your house has a whole home humidifier to keep the climate from getting too dry. Most humidifiers today include an automatic humidifier control that will automatically adjust to outdoor temperatures to maintain optimal levels of relative humidity indoors. If you suffer from dry skin a whole house humidifying system can really help regulate the climate more efficiently in your home. Air ducts can capture dust and pollutants that blow through the vents and travel throughout your home. Households that deal with seasonal allergies should look into getting whole house filtration systems. There are many high-efficiency filtration products available today. See your SMART Contractor for more information. Finally, remember to contact your SMART provider to perform regular maintenance on your heating system and air filters. A simple system check and/or cleaning can do wonders for your home! For more information on the services we offer, read more here.